Interactive Advertising Bureau (IAB) Europe has come out with a global study: Mobile Advertising Revenue 2014 – The state of mobile advertising around the world. As per the study mobile advertising has seen a 65% revenue growth to Euro 24 billion. Display advertising this year has moved ahead of search advertising, while percentage of message advertising has further reduced. In ad revenue terms too Display headed the table in the region with 48.6%, search 42.2% and messaging 9.2%. 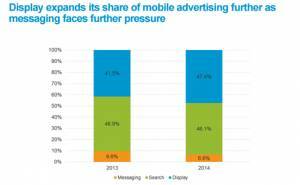 APAC’s share in mobile advertising has marginally gone down in 2014 (36.5%) as compared to the year 2013 (38.9%). Adgully.com spoke to mobile communication experts in India to understand whether the scenario in India is in sync with Asia Pacific findings. As for the ad formats that have delivered well for India and have a large future potential, experts’ perspectives are varied and clearly bring out the fact that Indian market indeed offers far larger opportunities. The same can be attributed to India’s massive size, varied demographics and massive smartphone usage. 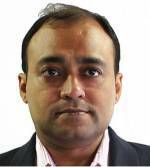 Meanwhile Gopa Kumar believes that Display and Mobile Search ads would continue to perform neck-to-neck. However, he believes that app install ads are catalysts of bringing in biggest revenues for the advertisers. He expresses, “Display & Mobile Search have their own importance in the mix and are rightly used across categories in India. Last year as well as most part of this year has been dominated by App install ads primarily led by e-commerce / app based brands. Brand and marketers, the experts suggest, should look at successfully implementing integrated mobile experiences which will combine variety of marketing formats such as video advertising, reward formats, search, apps and retargeting.